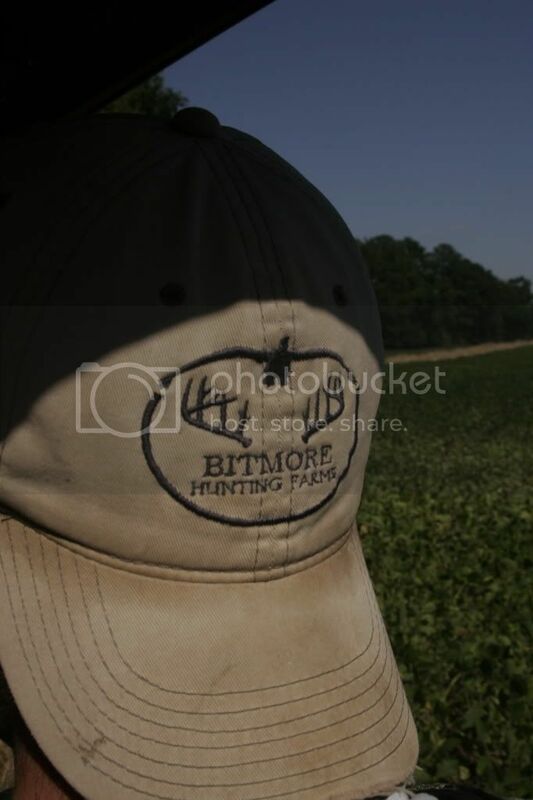 We are advocates of the QDM philosophy and have been implementing those principles since we began managing our farms. As a result we have seen a substantial improvement in our buck to doe ratio and a steady improvement in the quality of our bucks, does and fawns. For example, this year we have harvested about 125 does and only 12 bucks. The buck count includes a few button bucks that we have killed by accident and 7 mature bucks with at least 3 of them being 5 1/2 years or older. 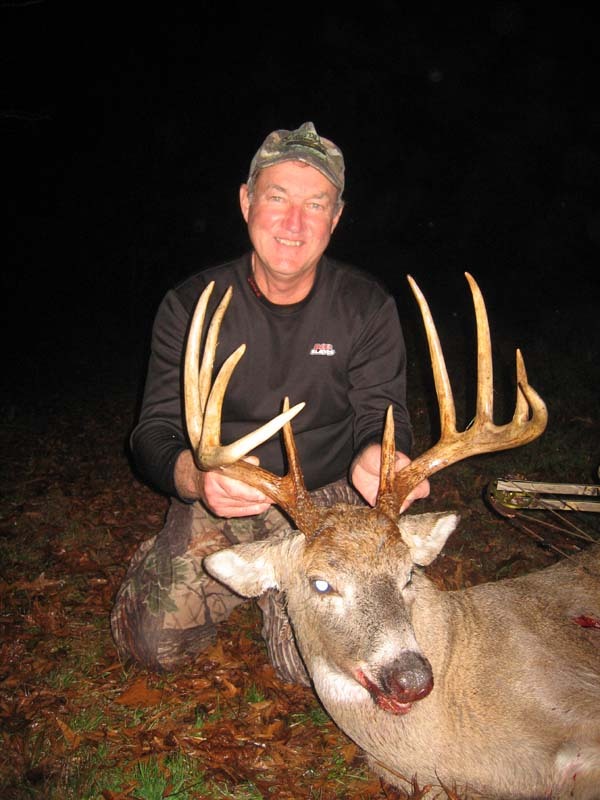 The gross antler scores of those bucks is as follows 159, 156, 155, 149, 143, 130 and a management buck that grossed 100 inches. We have been consistent in taking an average of 10 does for every mature buck that we harvest. We have found that a healthy doe harvest accomplishes several objectives. Most importantly a healthy doe harvest controls the deer population and helps reduce the crop damage. We have found that if you are not doing this you will not have your farms very long. We have witnessed more intense rutting behavior as fewer does creates competition among the resident buck herd. Last but not least typically a doe is a little better eating then an old rutting buck and provide excellent table fare!!! As you can see our cold box after opening week of gun season is full of excellent venison. Thanksgiving morning 2011 will be a morning that Gary will not soon forget. The Unexpected Guest was a deer we named "The Great 8". 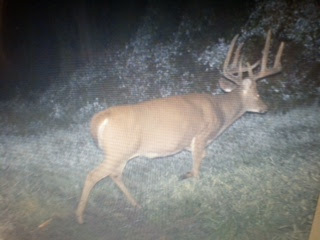 He is a 5 1/2 year old eight point and we have been tracking him closely for the past three seasons. We passed him the last two years and captured him on video twice only hoping that he would "blow up" at 5 1/2. We also had had his sheds from 2009 and 2010 and were pumped that he made it through. In July we started getting trail camera photos and although he had incredible G2's and a horse of a body it appeared that his rack barely grew only adding about 6 inches of antler. We decided it was TIME to try to take him and he became the number one deer on Gary's hit list. Early Thanksgiving morning, after a rattling sequence around 8:15 am "The Great 8" made his first appearance this season and proceeded to provided quite a show. He was within Gary's sight for almost a half an hour and provided an incredible hunt that kept him on pins and needles the whole time. It is times like these that you forget about being cold, forget about everything you have to do this afternoon and your mind is focused on one thing and one thing only. It was TIME for Gary to take "The Great 8". After a solid 37 yard shot the Easton Full Metal Jacket did it's job and the rest is history. 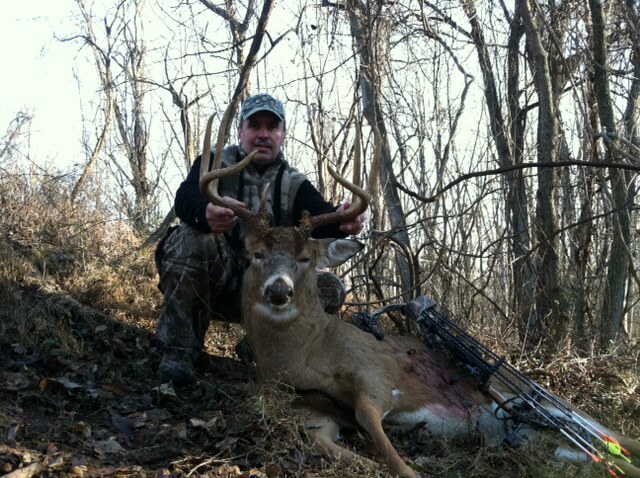 Not only had Gary arrowed one of his most wanted Hitlist bucks, he did it all on film! Congratulations to Gary on an incredible journey! Also a huge congratulations goes out to Kristen Nickerson and her spectacular kill of another Hitlist buck "Splitty"
He is a buck that we had history with over the past three years. 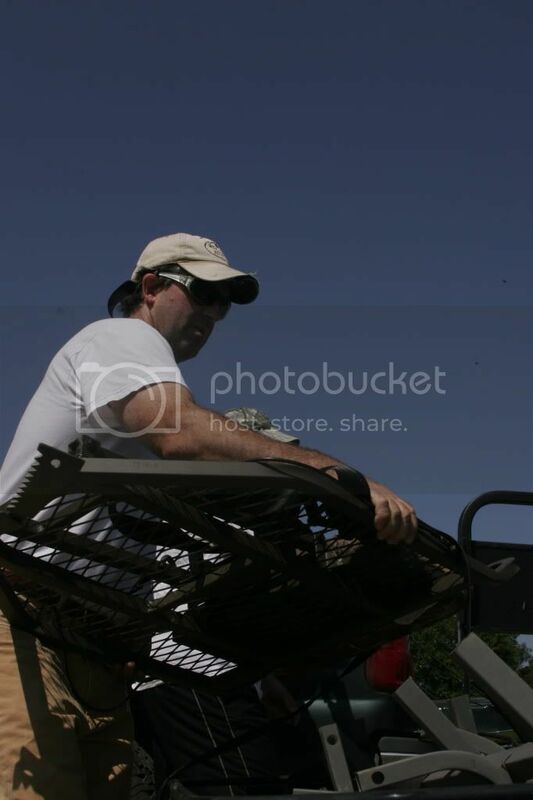 In the spring of 2009 Gary found Hi Wall's shed and we figured that he had some potential but didn't get to excited. He had great mass but fairly short tines and we figured he was a 3 1/2 years old. We looked forward to seeing what he would turn in to in 2010. It is hard to believe but with all of the cameras we have on the farm we did not get a single trail camera photo of him that summer or fall. Matt and Brendan saw him once in the rut of 2010 and got some footage of him. 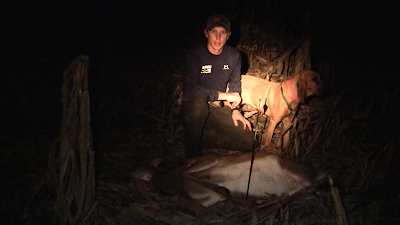 After reviewing the footage it looked like he had grown and were excited to see if we could find his sheds that spring. Gary found his second shed in the spring of 2011 and the peices of the puzzle were starting to develop. We were really excited to see that he made it through the season and were anxious to see him in the 2011 hunting season. In July of 2011 we finally captured him on trail camera and he grew and put on width and mass and really had the WOW factor! We were pumped to say the least. We knew he was 5 1/2 years old and figured he would be close to 160" by the time he finished growing. Mathew and Mike were on his trail and took the surviellance information that was gathered and developed a plan to put him on the ground. They figured that he was living in a small area and they would stay persistent and keep hunting the outskirts of his core area and not put to much pressure on him. 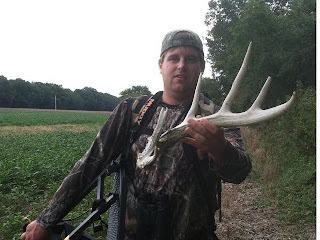 They were determined and figured that they would hunt him at least twice a week from the Sept 15th opener until the end of season or however long it took to cross his path. It did not take long .... On the morning of November 12th Mathew connected and made a perfect 30 yard shot on Hi Wall! He even self filmed the hunt and captured it all on video.... Unfortunately Mike was not with him that day as he got sick. It was almost the first hunt that he missed with Matt all season. Hi Wall is quite an impressive creature and looked tremendous on the hoof! He has a great frame and with great mass and palmation throughout his main beams! Now it is on to the next chapter and time to CHASE another mature whitetail! The CHASE never gets old and there is nothing more challenging then targeting a particular buck that has survived several hunting seasons. The action has been fast and furious and the rut is in full swing. We expect that the timing of the rut, the full moon and cooler mid day temps caused it to happen but we experienced excellent mid day buck movement last week. We have never seen it so pronounced! In fact, we had a group of hunters in Iowa last week and out of the 20 mature buck sightings while they were on stand 15 of them were seen between the hours of 10:30 - 2:00. Several of us sat from daylight until dark and we experienced most of the action between 10:30 - 2:00! It is a great time to be in the woods.... The first round of does have been bred and there are now bucks "in between" does. They are cruising looking for their next girlfriend and if you hunt funnels and pinch points you might just be lucky enough to put your tag on a big boy! We believe that the next two weeks is one of the best times to see the "BIG STABBIE" that is just passing through your area because he has bred the does in his core area and is now expanding his search into unfamiliar territory! He probably won't stick around long before he returns to his home range so make sure you are ready to kill him when you see him that first time! Closing in on the rut and Gary strikes Browser off the Hitlist! When looking for some of our hitlist bucks we always seem to lose one or two over the years, we think they have been shot or killed somehow, but then all of a sudden they show up a few years later... 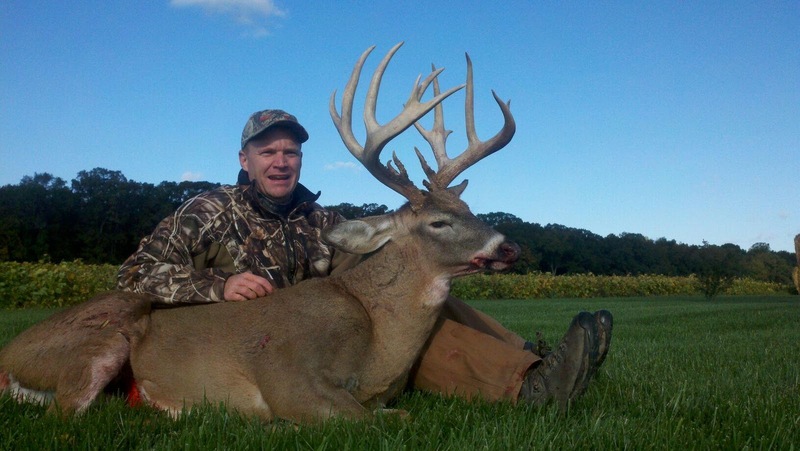 Here is a link to a blog post that Bill Winke of Midwest Whitetail wrote regarding this particular topic. Midwest Whitetail "Look Who's Back"
Goes to show that he very well may be roaming the depths. Here are my reasons that bucks disappear....what are yours? 1. Getting their butts kicked...if a Buck is constantly getting pushed around by a larger more dominant buck, why not move locations and be the big man on campus for a year or 2 in an area where there is less competition. With Magic Man (RIP) out of the picture I think Victor himself my be waiting for his curtain call on the Manor. I would sure love to be the one to stick it to him. 2. Maybe he was just a visitor in the first place. Some of the bucks you get one or two pictures of might have just been passing by, not moving out of the area. "Moon Charts and Weather Breaks"
After one of the most productive off seasons to date the first month of the season has been a disappointment to say the least. With countless trail cam pictures of shooters and management bucks it seemed as though we would have our hands full of antlers by now. 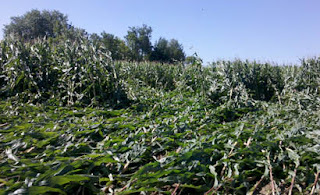 As rain, standing corn, and untimely moon phases occupied September and the first part of October, most of us were starting to question our abilities. As most of you know, there is always that one day in October when the ice is broken, its like a raspy sound of the trumpet before a fox hunt, everyone now knows, "its on". 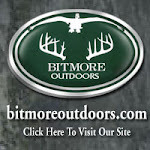 For the boys of Bitmore Outdoors, Thursday was that day. The funny thing is, it didn't catch any of us by surprise. The moon chart was showing a B day after countless C days, we had heavy rain all day Wednesday and the forecast called for a clear cool morning with strong winds. With the combination of the break in the weather and the good moon phase, we knew Thursday would be one of those mid October mornings that define good deer hunting. We were right! With smoke pole in hand for the first time of the 2012 season, Gary Kephart and Mike "natural born" Mundorf connected on great bucks that both look to score over 145". A Farmers Almanac is to a farmer as a ________ is to a deer hunter. The answer is...the deer hunters moon guide. We have been planning hunts with the help of moon guides for years and they work very well. During countless hunts the deer movement has been slow, only to pick up during the times the moon guide shows. It can be a great way for guys with full time jobs to pick and choose the days they wan to take off and be in the woods and also very useful when trying to decide when to stay in the stand all day or just hunt the twilight and dusk hours. 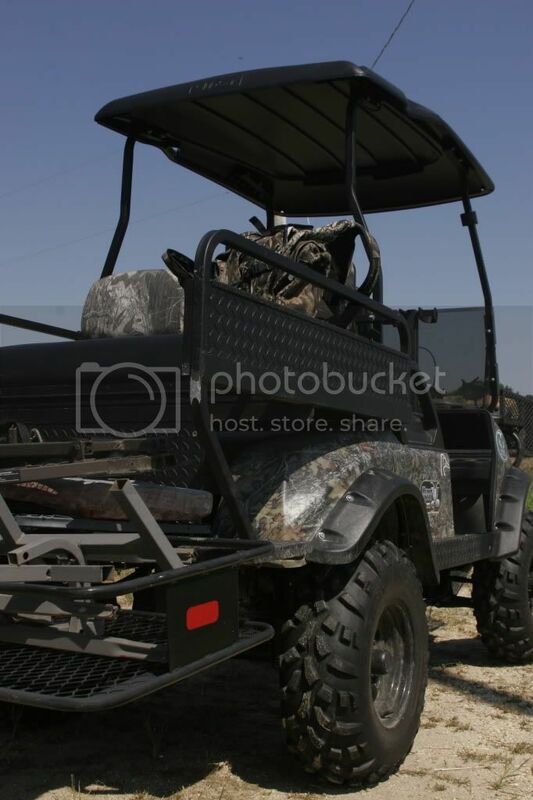 This is an inexpensive way to become a better deer hunter over night. Hopefully we will have some more bucks on the ground in the next week. 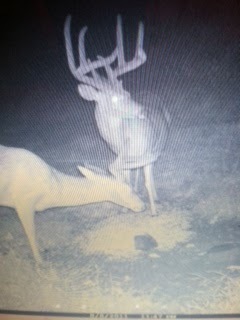 But if not, its off to Iowa for some of the crew and back to the bows as the pre rut starts to heat up! 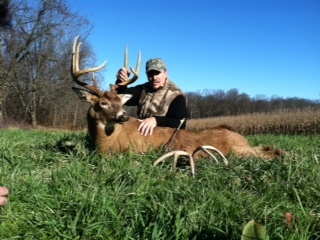 Congrats to both Gary and Mike for harvesting some good deer last week. 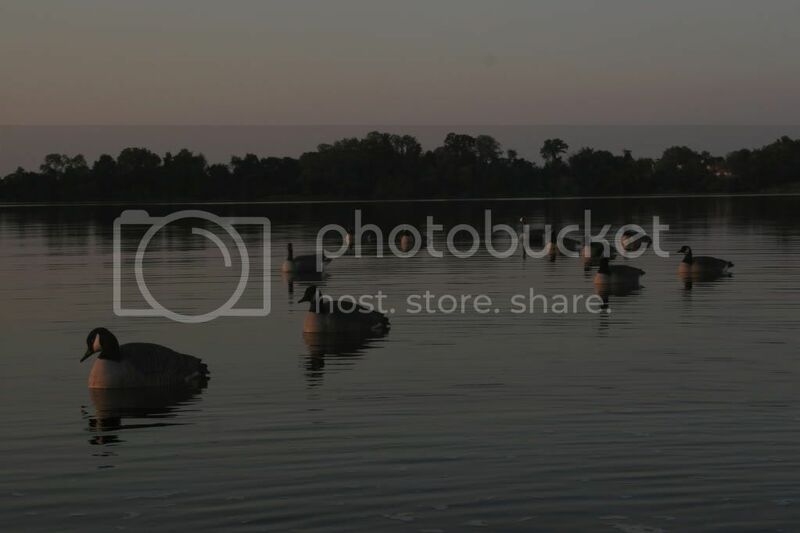 Pictures of the bucks will be up as soon as possible! Also congrats to Brian Sears, one of the Chester River QDMA Co-op members, on his incredible buck taken last week in Queen Annes County. And congratulations and thank you to Temple Rhodes for facilitating a great program that allows these type of deer to grow here. Heating up as the weather cools! Saturday morning was a great morning and the does were really on their feet! The front blew through and the deer must have been able to sense the 20-30 mph winds that were predicted for the afternoon. Our crew harvested four mature does Saturday morning. Bob Allen took 3 in one sitting, not bad considering all were bow kills and perfect shots! We are now looking forward to the cooler weather that is predicted for the end of this week and the moonguide is also predicting good daytime movement. This combination could prove to be very deadly. The Maryland early muzzleloader season begins this Thursday and we would not be surprised if one of our hit list bucks ends up on the ground! We are still staying out of some of our best spots trying to keep them fresh for the pre-rut when the big boys will be on their feet! Remember if you are bowhunting during the muzzleloader season you must wear florescent orange and have purchased your muzzloader stamp. 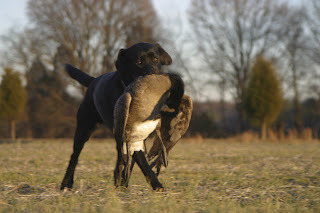 This Saturday was also the opening day for Maryland's early duck season, and from the reports the wooducks must have been holed up in their tight spots due to the high winds. Swing over to our facebook page and let us know how your season is going. 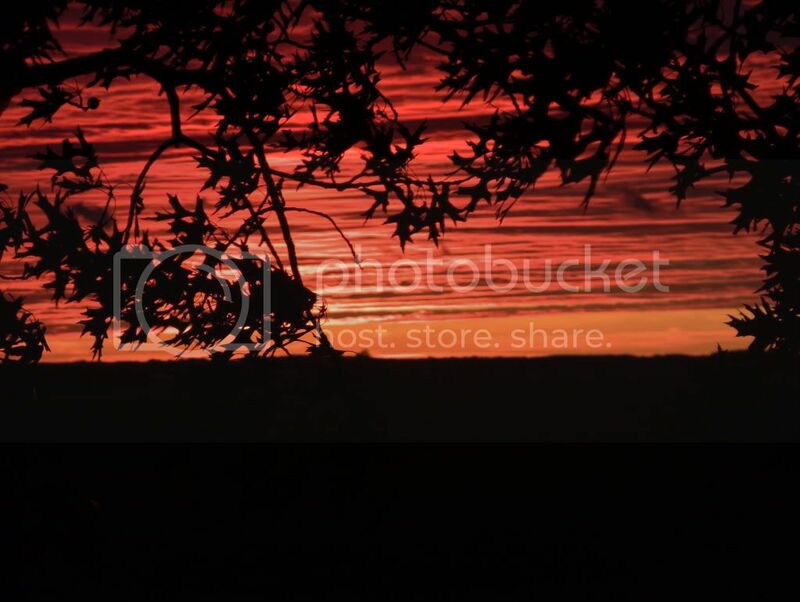 Feel free to post pictures and stories, as we would love to hear from you. 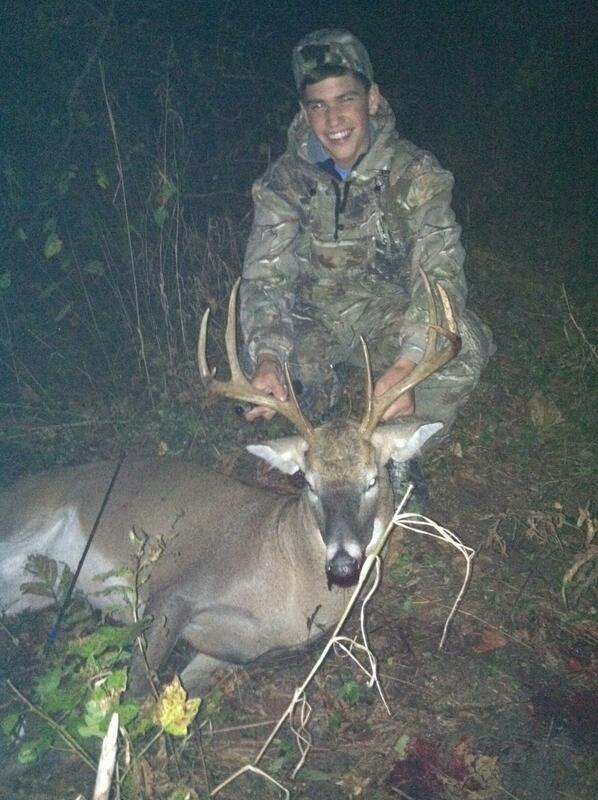 Here is a picture of Matthew Severo and his First buck shot with a bow! Nice buck Matthew, Congratulations! Good luck this week with the smoke poles! Key in on the Corn Harvest!!!! It is no secret that at this time of the year most of the deer spend their days bedded in the corn! 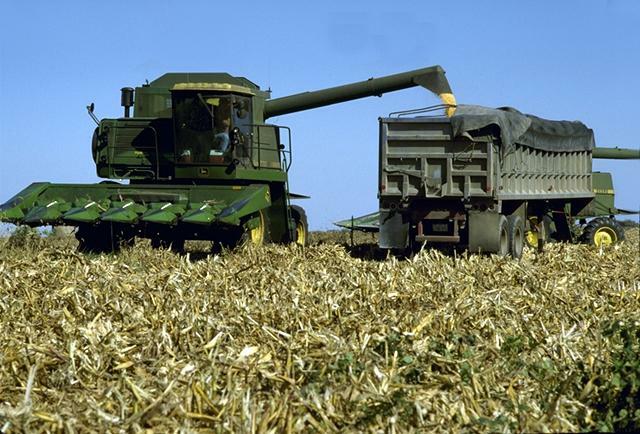 It is also no secret that the corn is being harvested right now and that can present a tremendous opportunity. 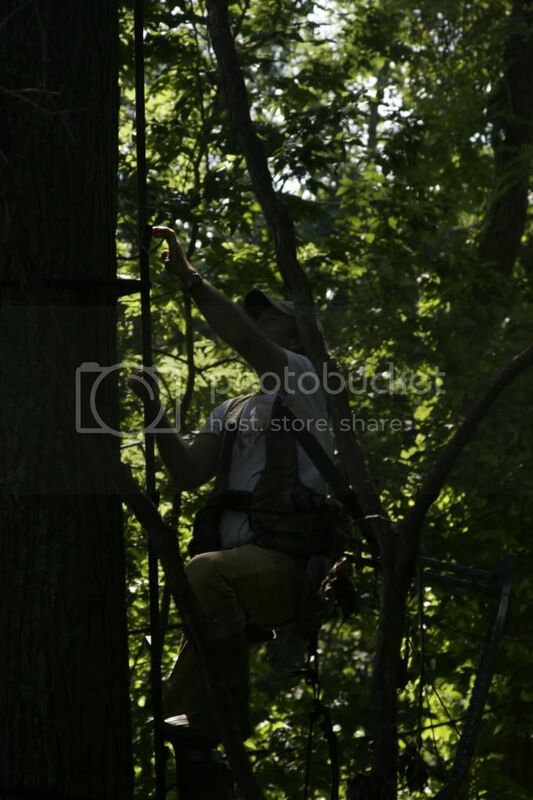 Over the past two weeks our crew has spent a LOT of time in treestands overlooking cornfields. Each time you watch a field being picked it is a learning experiance. We now think we are better prepared to take advantage of the situation when it presents itself in the future. Whenever possible talk to the farmer and find out how he is going to remove the corn from the field. You have heard it from the farmers over and over but it is really true that most of the deer will stay in the corn until the final few rows have been picked. Try to position yourself so that you are on an inside corner or in a finger that extends into the corn field on the end of the field where the farmer will finish! The deer will keep moving towards the remaining standing corn and most of them will break out of the field and head for cover at the very last minute. Ideally you want to be just inside the woods edge between the last corn that will be harvested and the thickest bedding area that is close to the field edge. With the winds and rain that we have had this summer a lot of the corn that is being cut is not making it into the combines. 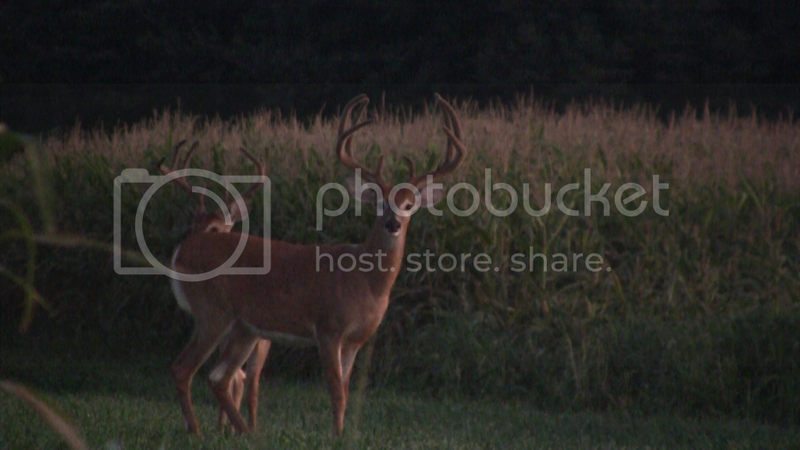 Hunting over a fresh cut corn field allows the deer to have easy eating opportunities by just roaming in the fields and browsing on the newly fallen corn. Keep this in mind when choosing your spots the first couple days after the harvest. Shortly after the farmers have finished harvesting the corn, the deer need to find new habitat to call home. With ranges and pecking orders already established this summer, deer will be roaming around trying to establish or find new areas. 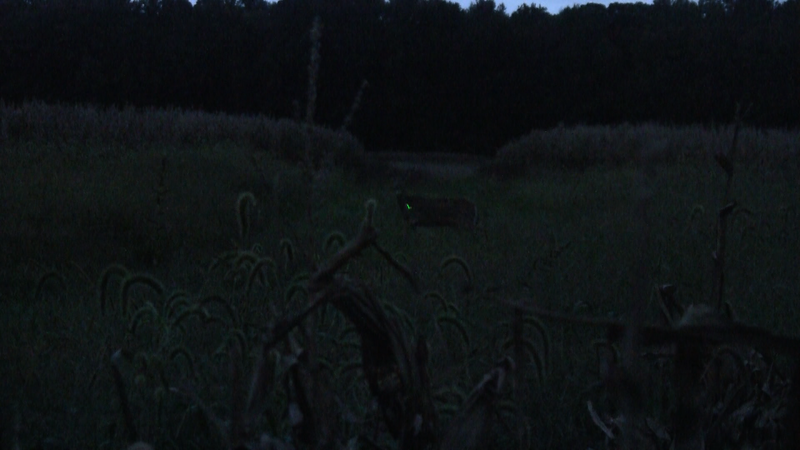 Even during the "October Lull" the deer will be moving during daylight hours contending for that new spot. 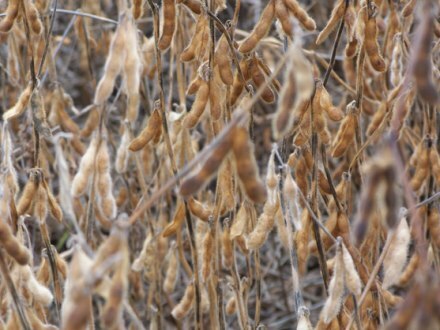 Also keep in mind that this time of year the late beans are getting tall and the bucks that once lived in the corn are moving towards the beans and spending the daylight hours bedded there. When thinking about your entry and exit strategies from the stands make sure you consider this before making the trek. Again most of us our now experiencing the dreaded "October Lull" but taking advantage of the corn harvest can add some excitement to your hunts! With a little luck a mature buck might be your prize! The cooler temperatures and improved moon phase along with a lot of the corn being harvested the deer have been on their feet and most everyone is seeing more daylight activity. We harvested a few more does over the weekend and are even seeing a few of our hit list bucks on their feet during legal shooting hours. None have gotten close enough for one of us to close the deal but it is great seeing them during daylight and really gets the adrenelien flowing for the weeks ahead! 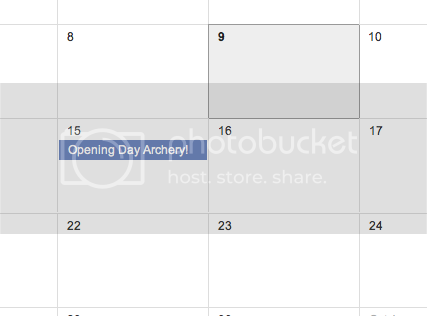 We have not recognized the the dreaded "October Lull" yet but feel confident that it is just around the corner! Once it starts and over the next two weeks we will be focused on managing the herd and harvesting more does. We do our best to stay out of our best areas while harvesting the does so that we don't educate our mature bucks any more then necessary. It seems that the scrapes are popping up all over and we have now moved our cameras off bait and on scrapes. 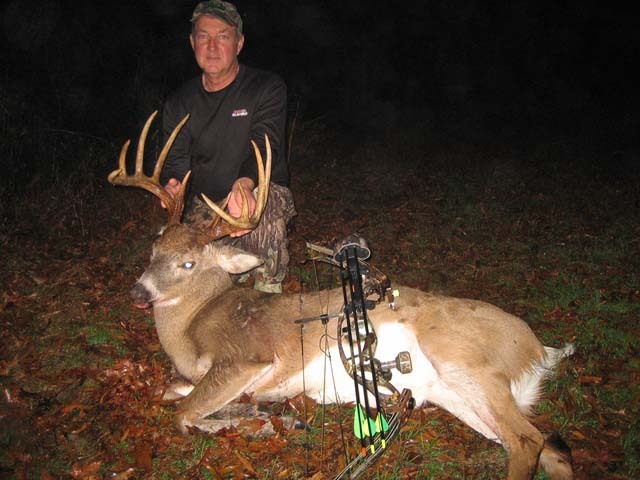 From now until the end of October is the best time to capture photos of the best bucks in your area as they are working to establish their territoiries. 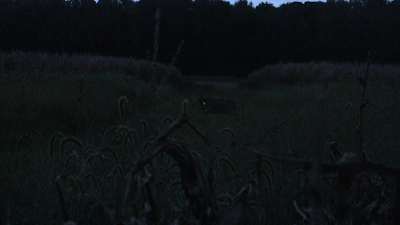 They are fairly easy to catch on camera at night when they are running field edges and logging roads laying out sign. We hope to post some new photos over the next few weeks to prove this point! I absolutely love this time of year! 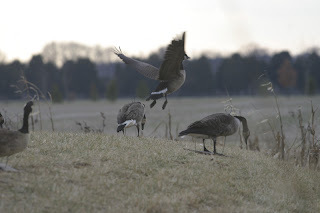 The past few days we have had some great North winds, and with the colder temperatures the Ducks and Canada Geese have been arriving in by the thousands! 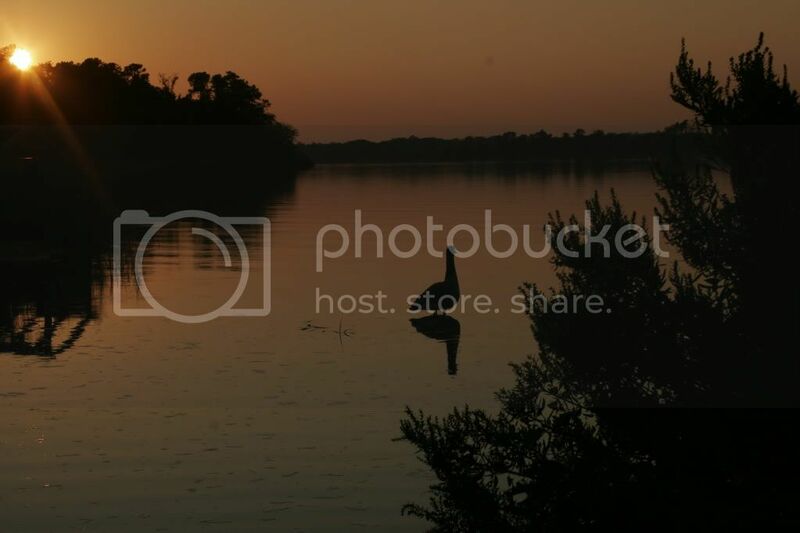 We are fortunate enough to live next to the water and adjacent to a large roosting area, so right now as I am typing this, my background music is about 3000 geese honking and carrying on. 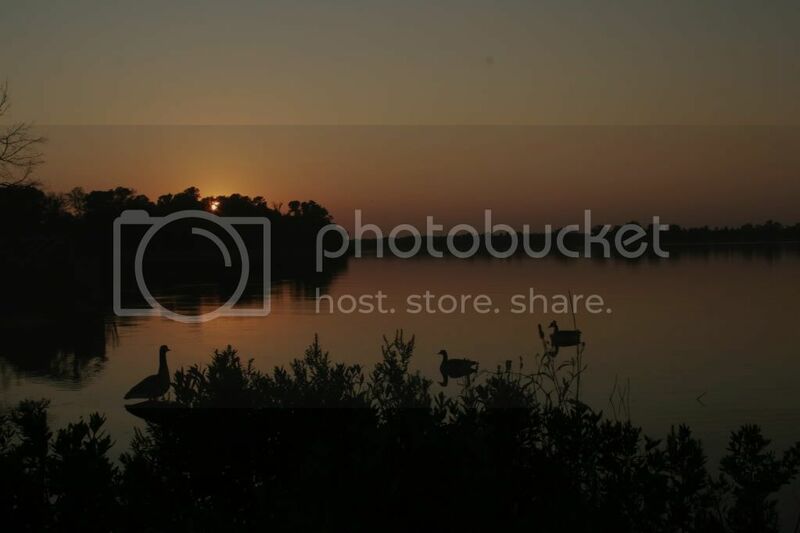 It's only a few days left until duck season and a few weeks left until goose season, so hopefully we will have some good footage soon for you up on the website!